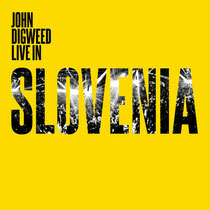 ‘John Digweed Live in Slovenia’ comes from a peak time set recorded on March 30 at the Ambasada Gavioli in Izola. The third installment, with previous sessions coming from Cordoba, Argentina and London, UK, sees John condensing the essence of his club set into a double live mix CD. With festival DJ sets at Timewarp, Awakenings, Tomorrowlands, Movement and Electric Zoo to standalone sold out gigs from North and South America to Australia and Asia and everything in between, Digweed is a DJ whose passion for his craft has made him more in demand more than ever before. As his new 12-week residency at Pacha in Ibiza over the summer illustrates. Tracks from artists such as Josh Wink, Jesper Dahlbäck and Booka Shade sit side by side with new wave producers making an impact on the scene such as Danny Serrano, Coyu and George Fitzgerald. And remixes including Boys Noize, Kaiserdisco and Monika Kruse from the likes of The Chemical Brothers, Sébastien Léger, Ramon Tapia, Deetron and Pig&Dan all add to its enjoyment. Check the mini-mix out below, it’s out May 27 on Bedrock Records.